At Raspberry Ridge Farms in Almonte, we typically have 35 horses on site. Their care is tailored to the individual need of the horse or pony. This ranges from 24/7 outdoors with hay and pasture for “rough-and-tumble” ponies, to stabling with blankets and special care for older or more fragile horses. The prices for boarding reflects those differences in cost, which is dependent on care. 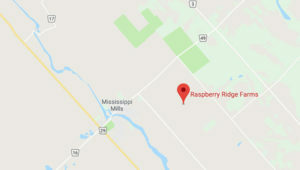 Located in the heart of hunt country, at Raspberry Ridge Farms we offer live-on-site management by professional, very experienced horse people. We have 30+ years’ experience in hands-on care, including foaling mares, young horses and elderly horses. Our fat, happy outdoor horses have a natural, healthy lifestyle with tons of pasture and miles of trails and most spend the majority of their time outdoors. We offer an all-weather sand ring over crushed rock and gravel drainage. Our indoor horses enjoy extra loving care, daily turnout with heated water in winter, and cosy rubber matted stalls. We have a soft spot for special needs horses: those with Cushings, suffering from blindness, old horses (we’ve developed special feeding for those fragile metabolisms of horses in their 20’s and 30’s), retirees, lay-ups who need individual programs and care. We try to keep their lives natural and have as much turnout as possible, but use blankets and stabling in bad weather. Our boarders tend to be adults and young people who do cross-country jumping and may do a few shows, and mature adults: serious recreational riders who love to hack, but still sometimes take lessons and clinics. Some also attend a few shows/events/group riding excursions. They are a relaxed, supportive group who enjoy riding together and helping each other through schooling difficulties. Our proximity to the esteemed Ottawa Valley Hunt makes us the perfect options for those who are members, or who wish to try the sport. We now have a few x-country jumps on site. Boarders are also welcome to join us for a few shows. Indoor board in our newly renovated barn, with System Fence stall systems, and rubber mats, use of all outdoor facilities (trails, jumps, round pen, riding ring). Daily turnout. Individual feeding plans. Grain extra. Horses have free choice pasture and/or hay, salt and heated troughs in winter. Includes the use of all outdoor facilities (trails, jumps, round pen, riding ring). Daily turnout. Individual feeding plans. Horses have free choice pasture and/or hay. Use of all trails, lighted ring and outdoor facilities. The extra charge is for the labour to feed your horse grain daily (A mere $1.00/day). The actual cost of the grain is extra. Outdoor boarding for small donkey/mini pony. Boarders/leasers may join one of of our weekly 1 hour group lessons, up to five/month. This is a prepaid amount. Boarders/leasers may book 45 minute private lessons. This is a prepaid amount. Tack-up/training assistance per half hour for boarded horses. Horse training, one-on-one attention (per session). Use of cross-country courses/riding trails for schooling by horses not living at RRF. Must sign waiver. Friend of a boarder joining them on their own horse for a trail ride. Must sign waiver. 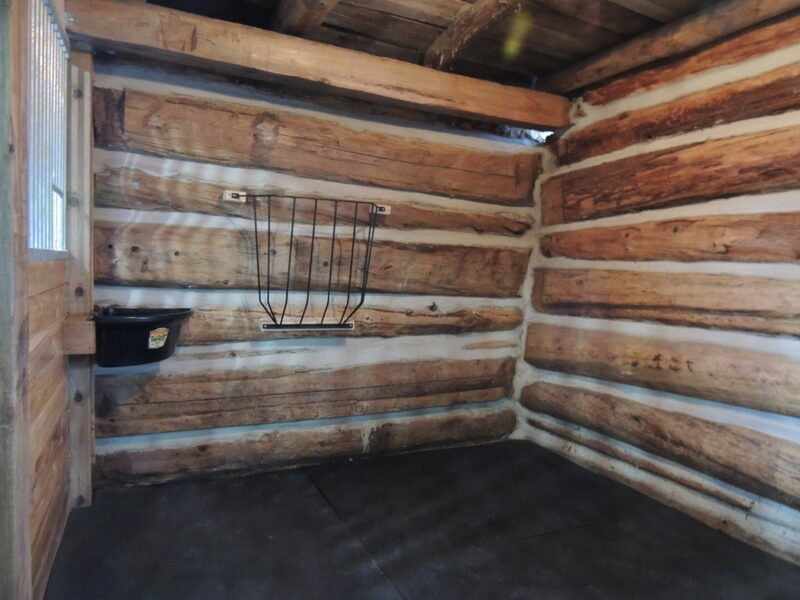 Nearly 300 acres of owned gorgeous trails, fields, pastures for trail riding. 200 x 115′ all-weather sand riding ring over crushed rock and gravel base for drainage. Summer – Lush pasture or drier paddocks for metabolic horses. Winter – Free-choice hay, heated troughs and salt. Paddocks with cedar shelter belts and/or beautiful three-sided wood shelters. Beautiful Century log barns. 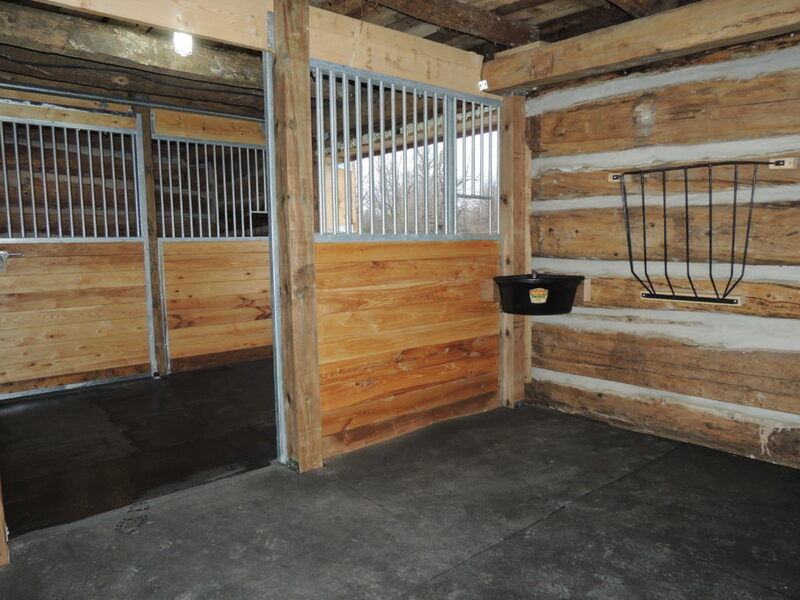 Our main barn is restored, with System Fence stalls: high quality tongue and groove ash, and galvanized steel grills and all 9 stalls and our main hallway have wall to wall installed rubber mats. 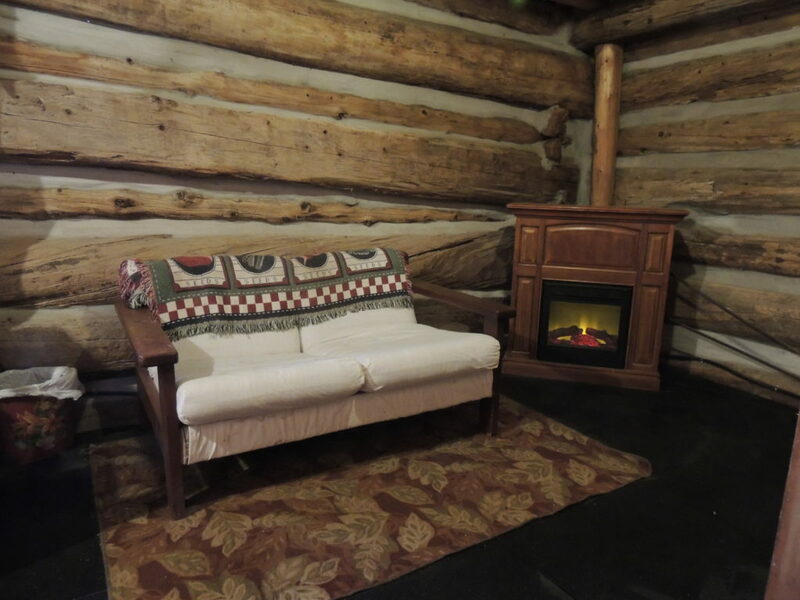 An additional attached 55′ heritage log barn was restored and renovated August 22-November 2017 with 4 large box stalls, a large boarder’s tack room with individual lockers and electric fireplace, school horse tack room and feed room. A charming blend of old and new. Professional equine care with experience with many special needs conditions. Heated water troughs in the winter months, for increased hydration. 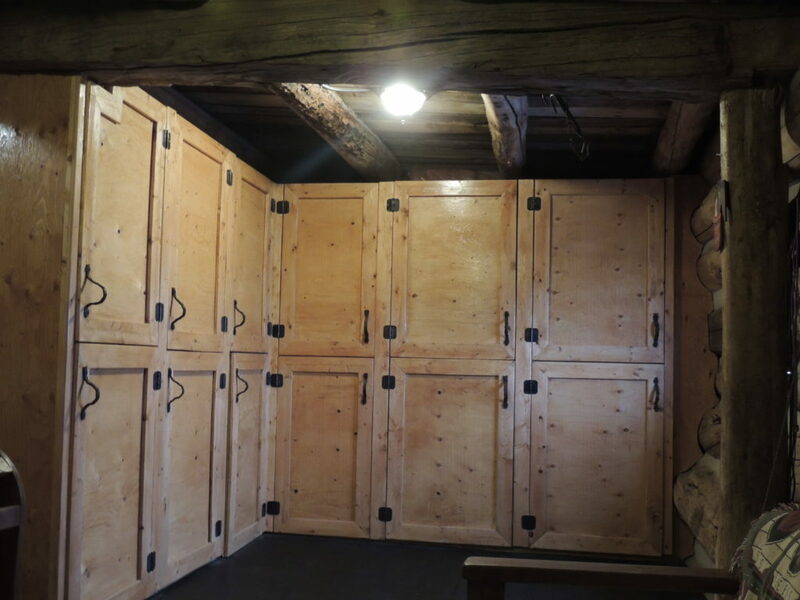 Individual custom lockers in Boarders’ tack room/lounge with cosy electric fireplace. Separate loft lounge with harvest table, seating, fridge, microwave and water cooler. Specialized care i.e. bandaging, shampooing, medicating (on advice of a vet), broodmare monitoring, etcetera is available at additional cost of $50.00/hour.